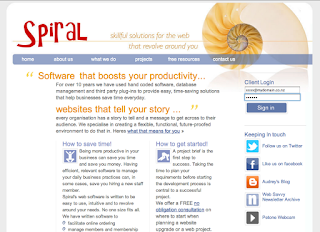 Making changes to your website starts with logging in to your dashboard. 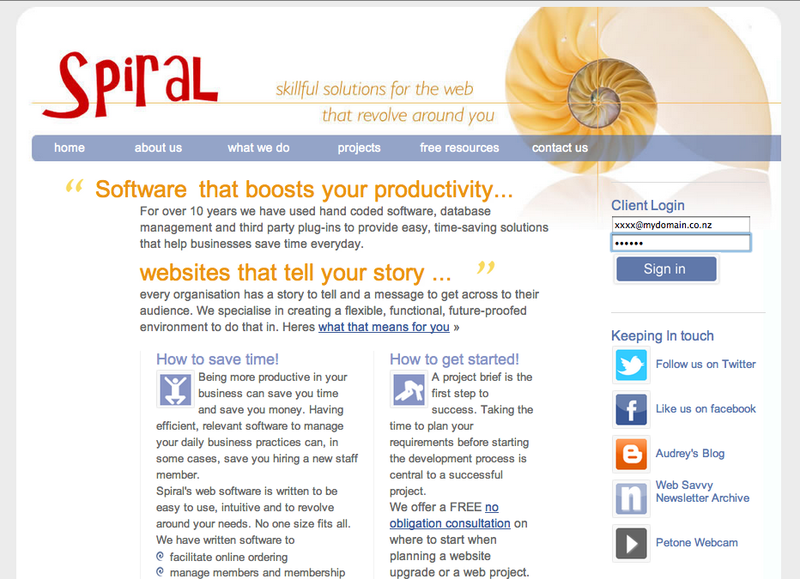 You do this by going to www.spiral.co.nz, on the right hand side you will see a box for client login. 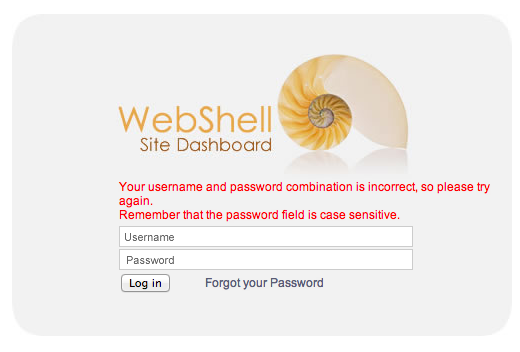 Enter your username & password here and click on the "Sign In" button. If you enter the wrong password for your email address you will get the alternative login screen so you can have another go at logging in. 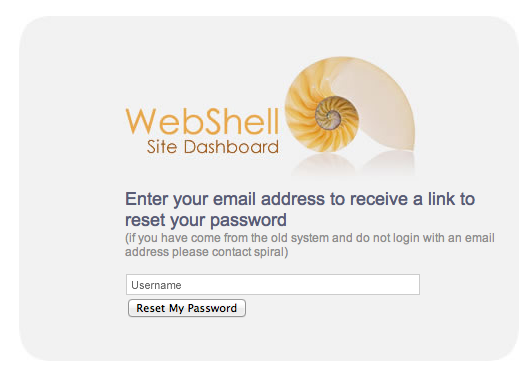 If you don't remember your password, you can click on the "Forgot your password" link to have WebShell send you an email that enables you to reset your password.